Today I'm looking at not one but TWO micelellar waters from Bioderma! Sensibio H2O, one of the products from the Sensibio range for sensitive skin, has been seen on just about every beauty blog ever, so I held off reviewing it. However, when I got my hands on the equivalent product from the Sébium range for combination/oily skin, I thought I'd put in my two cents about these cleansers. 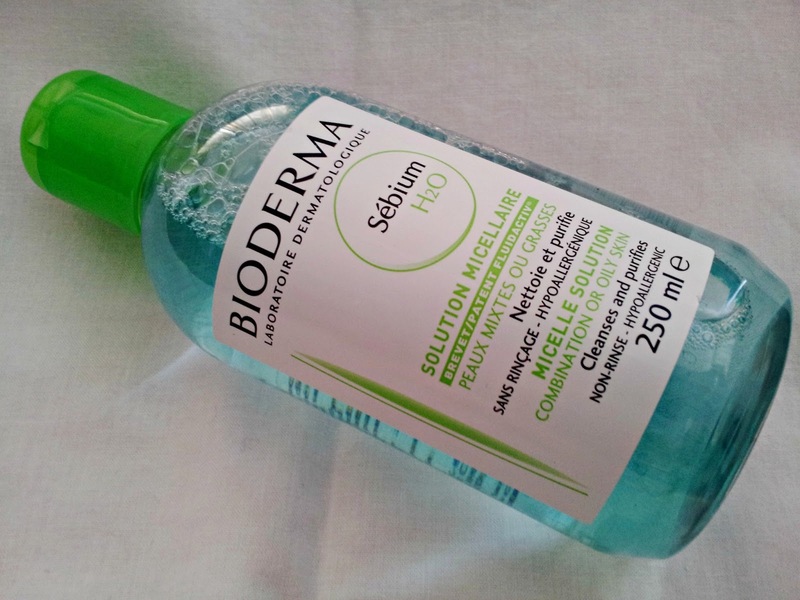 "A Bioderma innovation, Sensibio H2O gently cleanses and removes makeup from face and eyes. The micelles contained in its formula effectively micro-emulsify impurities while maintaining the cutaneous balance. Soothing active ingredients prevent the skin feeling irritated. Excellent cutaneous and ocular tolerance." I've been using this product as a cleanser morning and evening for 6 months and I love it. (9 days out of 10, this is the only cleanser I use). It's the first cleanser that doesn't irritate my skin and still leaves my skin properly cleansed. It's perfect for anyone with sensitive skin as it is gentle, fragrance free and hypoallergenic. (Also, you can get this in your eyes by accident and it doesn't hurt at all!) Even if you don't have sensitive skin, you can still use this product as a makeup remover and follow with your normal cleanser. "A Bioderma innovation, Sébium H2O cleanses the skin gently without drying it, through the micro-emulsion of impurities and excess sebum. Enriched with ultra-purifying active ingredients, Sébium H2O cleanses the epidermic in depth and reduces sebaceous secretion. The patented sebo-correcting Fluidactiv complex regulates sebum quality. Excellent tolerance. Non-condogenic." 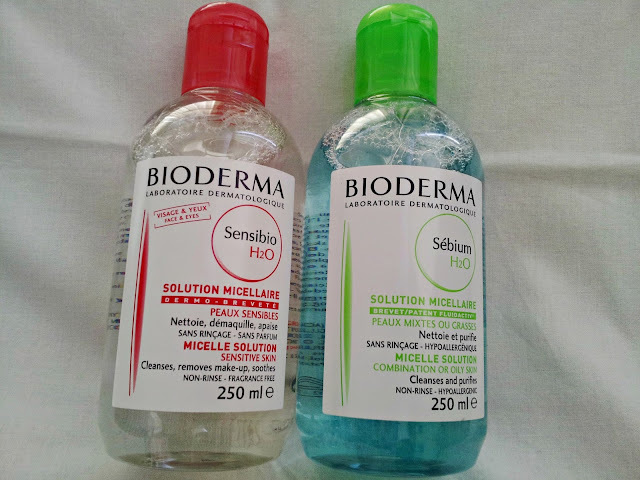 So, that's my thoughts on these two micellar solutions! Have you tried either of these products? If so, what were your impressions? Be sure to leave a comment below! 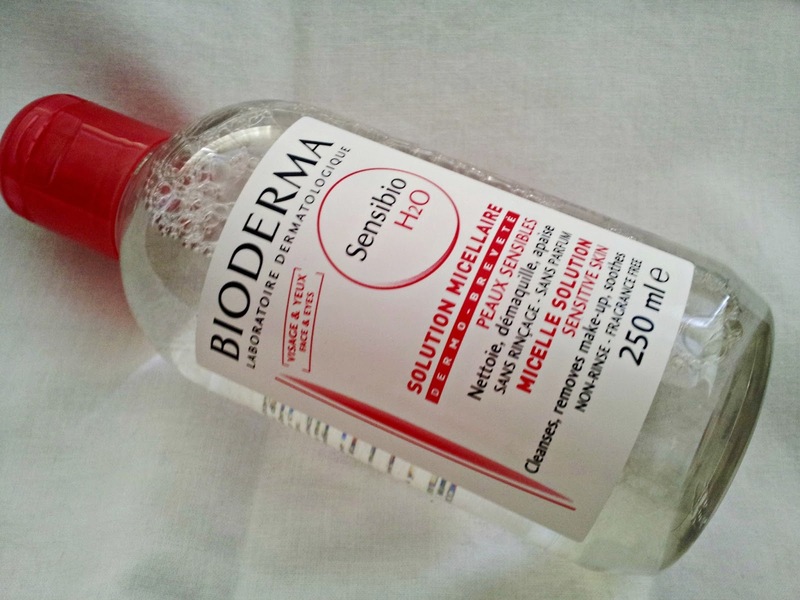 PS: Later this week I'll be reviewing another one of my favourite products from Bioderma's Sensibio range, so if you have sensitive skin and suffer from redness and irritation, be sure to keep an eye out! 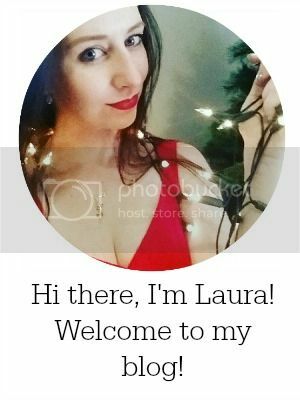 Make sure you're following my blog (links in the sidebar) to never miss a post! I tried out the Sensibio water based purely on your review.. and it is AMAZING!!! Thank you so much!